Premier training: The London Eagles and Pro Touch, the red kits. 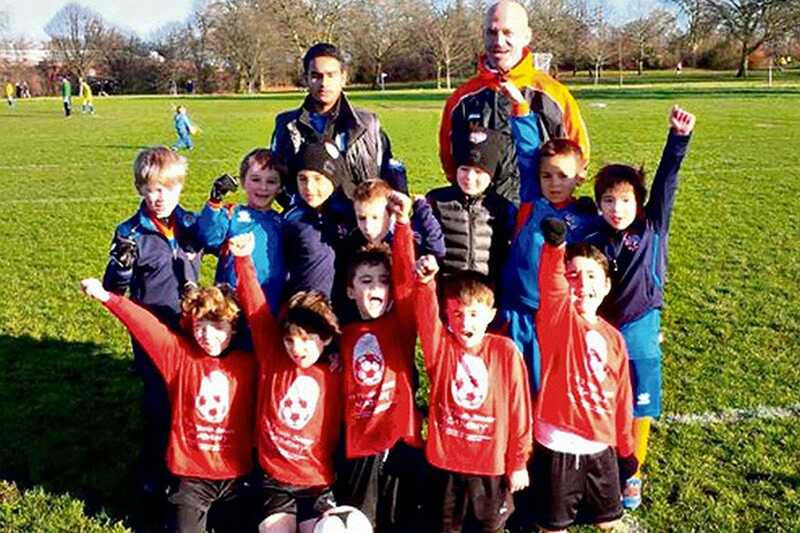 The rainy weather might be causing a frown or two but it's going to be a fab February for scores of young footballers from the Camden and Regent's Park Youth League. Sides, including Pro Touch Soccer Academy and the London eagles (pictured) have been invited by Premiership high-fliers Tottenham Hotspur to take part in a special football festival at their training ground in Enfield. It was just the good news the youngsters needed after missing out on their league games at the weekend after the bad weather forced all fixtures at Regent's Park to be postponed.